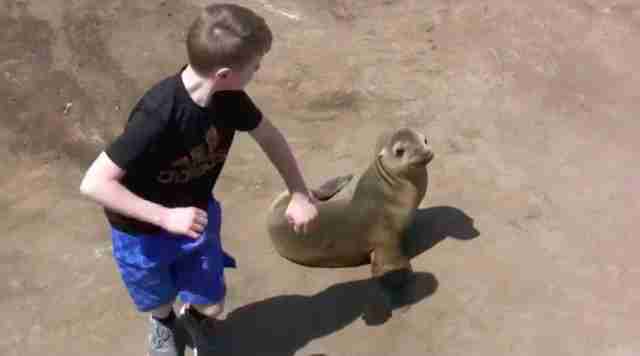 In an upsetting video, a baby sea lion flinches as a little boy rushes toward her, looking as if he’s going to punch her in the face. 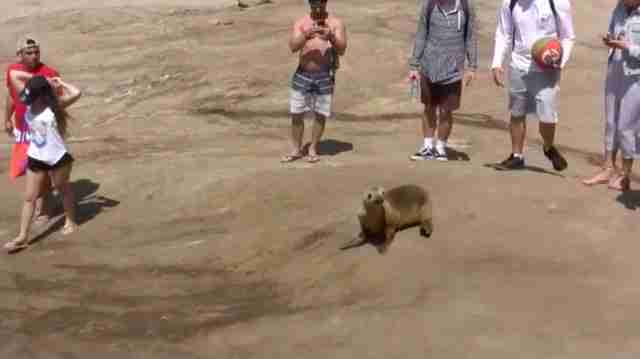 While the boy doesn’t end up touching her, other people take turns harassing the baby animal as she attempts to nap on the beach. Throughout the course of the video, members of the public reach out to touch her, take selfies and intimidate her by surrounding her on all sides. 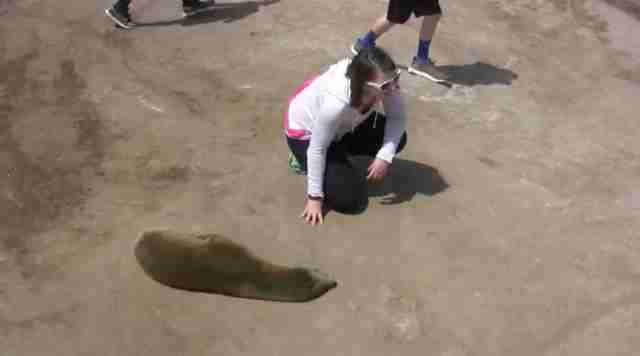 In the same video, people bother other sea lions as well. 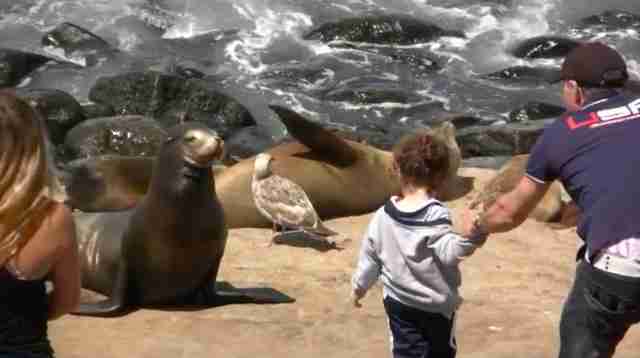 A middle-aged man guides his little girl right up to an older sea lion, who gets annoyed and starts to charge toward them. 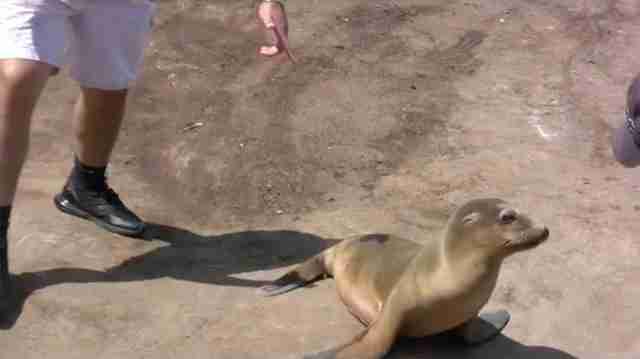 Another man appears to throw bottled water on a sea lion resting on the beach below. All of these events happened on a single day — Tuesday, April 3, 2018 — at Boomer Beach in La Jolla, a community within San Diego, California. The woman who made the video, Andrea Hahn, occasionally shouts at the people harassing the animals. What Hahn says is true — sea lions, as well as other marine mammals like whales and sea otters, are protected under the U.S. Marine Mammal Protection Act (MMPA), which specifies that it’s illegal to harass, feed, hunt, capture, collect or kill these animals. 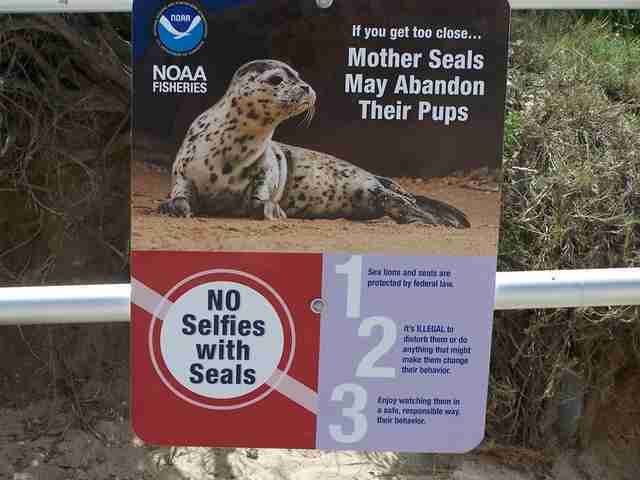 There are signs around La Jolla Beach detailing this law — but neither the law itself nor the signs seem to be doing much to protect the sea lions. Naomi Rose, a marine mammal scientist at the Animal Welfare Institute (AWI), believes that the sea lions need to be better protected by local officials — and that the public should be respecting these animals by leaving them alone. The National Marine Fisheries Service (NMFS) is the agency responsible for enforcing the MMPA and protecting the sea lions — but so far, NMFS hasn’t been doing its job, according to Rose. Paul Watson, founder of Sea Shepherd Conservation Society, also believes that measures should be taken to protect sea lions from harassment. 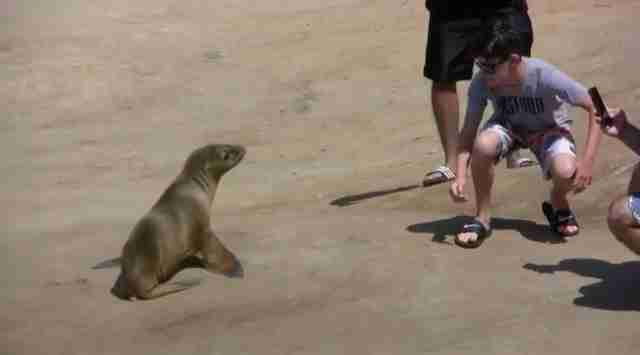 Not only are sea lions being harassed in La Jolla, but some business owners don’t want the sea lions on the beach at all. 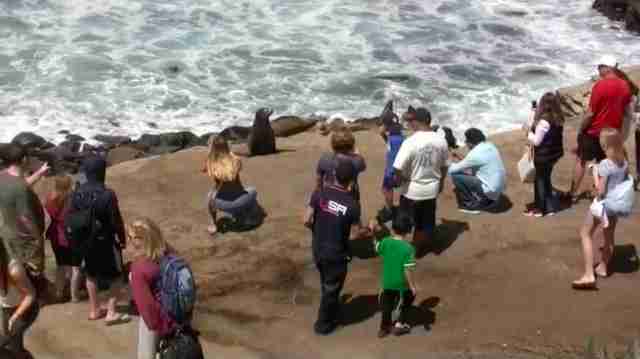 In fact, a group called the Citizens for Odor Nuisance Abatement has been campaigning to kick the sea lions out from La Jolla altogether, arguing that the animals are contaminating the area with their smells. Animal welfare advocates, on the other hand, believe that the sea lions have a right to be there, and they’re working hard to protect them. While the situation is certainly upsetting, Watson believes that change will happen through individuals like Hahn, who regularly documents the sea lion harassment and helps spread awareness about the issue. To help protect the sea lions in La Jolla, you can contact the NMFS and urge the officials to enforce MMPA and protect the sea lions.